Identification Information: Mexican buckeye is a big shrub or small tree that grows multi trunked or single stemmed. It normally has an irregular overall shape. 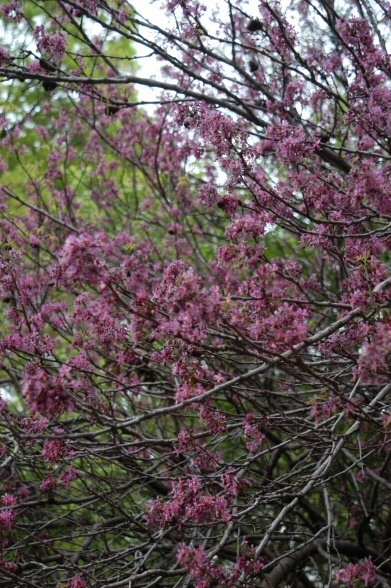 It has purple flowers in the spring that bloom just after the bloom of the redbuds. Flowers come out just before the foliage or as the immature foliage starts to emerge. Brilliant yellow fall color most years and decorative 3 compartment seed pods on bare branches in the winter. Natural Habitat And Preferred Site: Native to North America. Grows wild on mountain slopes and in canyons. I have found it growing out of cracks in the solid granite at Enchanted Rock in San Antonio. It grows well in limestone outcroppings but will adapt to normal garden soil in sun or shade. It works well as an understory tree. It actually prefers alkaline soils. Hardy in zones 7 – 10. See range map below. Flowers And Fruit: The flowers appear in the spring as the leaves emerge or just before. Fragrant purple flowers often mistaken for the redbud that blooms earlier in the spring. The flowers are small, fragrant, and pink to purple, appearing in closely attached clusters. The seed are round, shiny, black and hard “buckeyes” that are reported to be somewhat poisonous. The plant usually flowers in its third season. Bark: Very thin and light gray, can be easily damaged by maintenance equipment. With age it becomes mottled gray to brown and develops shallow fissures. Foliage: Looks a little bit like pecan having compound leaves 5 to 12 inches long with 5 to 7 leaflets. Has brilliant yellow fall color displays most years. Culture: It is very easy to grow in sun or shade in any well-drained soil. Slow to moderate growth and needs very little water and fertilizer. Although drought tolerant it can also stand moist soils. Problems: Very few pest problems if any at all. An ornamental tree that should be used much more. I guess the fact that the seed are reported to be poisonous is a possible problem. The leaves and fruit have been reported to cause mild poison to livestock but are seldom browsed unless the only foliage available. Propagation: The shiny black/brown seed can be harvested beginning in late summer through winter after the capsules have turned dark reddish brown and crack open. After a short drying period the seed can be planted into moist soil and will germinate within 3 weeks without any seed treatment. Seed will germinate best in warm soil. I have not had much luck at this point growing Mexican buckeye from cuttings. 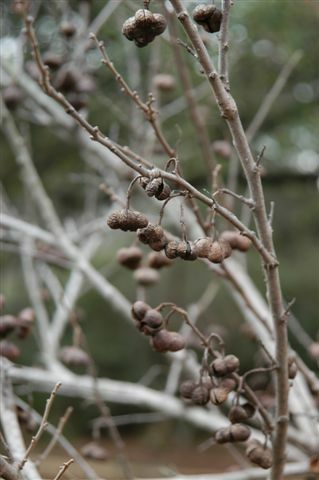 Insight: Mexican buckeye is not a member of the true buckeye family. Bees make an excellent honey from the flowers. Mexican buckeye is a terrific ornamental tree. It is very easy to grow from seed that you can get by joining the Organic Club of America. Gardeners north of zone 7 will have to protect the plant in the winter. It can also be used in indoor containers, in atria and as a bonsai plant when given ample light.